Jack Fanning was a fireman…and Babe Ruth played baseball. “Hey Jack, what would you do if you won the lottery” Maureen asked July of 2001. “I’d pay off a few bills and then build a home for autistic kids,” Jack replied. Typical Jack – always thinking of others. Jack was a fireman. If you’d ask him he would tell you that proudly, “I work for the FDNY – the best fire department in the world”. But Jack was much more than that. Saying Jack was a fireman is like saying Babe Ruth played baseball. Jack was a fireman, hero, father, friend, teacher and an internationally recognized expert, and now, he is also a philanthropist. He was born on March 6, 1947 and raised in Jackson Heights, Queens, NYC. Jack was a typical New York City kid, but his quiet, unassuming demeanor masked the greatness within. If you listened and paid attention, you realized this was someone special. Jack was an extremely intelligent kid with a thirst for knowledge and a quest to help others. Jack graduated from Mater Christi High School in 1965 and attended St. John’s University. In 1969, at the age of 22, Jack proudly joined his father on the FDNY. Little did anyone know at that time what an illustrious career would lay ahead for him? By the time Jack was 31 he was promoted to Lieutenant and just 5 years later he was promoted to Captain. In 1992 he was again promoted to Executive Officer/Technical Services. Two years later he was promoted to Battalion Chief of Fleet and Technical Services. 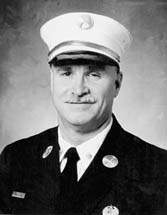 In 1996 Jack was named Battalion Chief of Hazardous Operations for the entire FDNY. His meteoric rise in the ranks was only a small part of the story though. Jack also served on FEMA’s NYC Urban Search and Rescue Team, New York Task Force 1. In this capacity, he served the 1995 bombing of the Murrah Federal Building in Oklahoma City, OK and the 1996 Atlanta Olympic bombing as well as a deployment to Puerto Rico after Hurricane Marilyn. Though Jack’s resume had all the official titles, he remained until the end, “a fireman’s fireman”. His heroics were legendary. He was one of the most highly decorated firemen in the department. His personnel file burst with awards, commendations and personal heartfelt letters. The 1989 book, Braving the Flames, by Peter Michaels, chronicles some of these early acts. Throughout his career Jack Fanning received over 20 Medals of Honor including 3 Medals of Valor, the prestigious Susan Wagner Medal, the Henry D. Brookman Medal, and the William F. Conran Medal. In administrative capacities he also received the Jack Lerch Award. Stories of Jack jumping into the East River to rescue passengers aboard a downed helicopter, saving a boy dangling from cables in an empty elevator shaft and pulling people out of flame engulfed homes will be told to many generations of firefighters. Jack’s final heroic act took place on September 11, 2001 when he first responded to the call at the World Trade Center. Jack arrived on the scene as the 2nd hijacked plane piloted itself into Tower Two. He was last seen at the command post in the South Tower and had sent a member of the NYC Office of Emergency Management to locate medical personnel to provide assistance to victims coming down from the upper levels. Tower Two collapsed less than 1 hour after he arrived on that horrific scene. Only his charred white helmet was found in the rubble in March 2002. For all his accomplishments, Jack was first and foremost a devoted husband and father. He dearly loved his wife, Maureen, and his five children, Ryan, Jeremy, Jacqueline, Sean and Patrick. He was proud of their accomplishments – large and small. Sean and Patrick, his two youngest children, are both severely autistic and the sole responsibility of his wife, Maureen, the Executive Director of the Jack Fanning Memorial Foundation. “I’d pay off all the bills and build a home for autistic kids”, Jack said weeks before 9/11/01. So today, though Jack is gone, he’s all around us. Jack is now a philanthropist. Through his wife, Maureen, his last wish is becoming a reality. 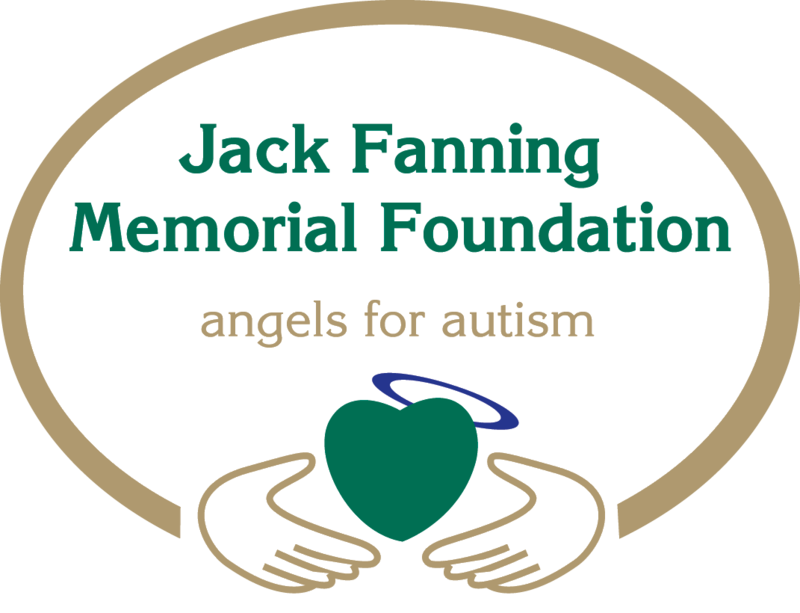 Angels for Autism is Jack’s final legacy and one that will live forever in the hearts and minds of many.